Two, four, six, eight, Barney(tm) wants to celebrate! While playing a game of Hide and Seek in the park, Baby Bop(tm) realizes that she can't be the one to count to ten because she doesn't know how - so Barney and the kids jump right in to help her. 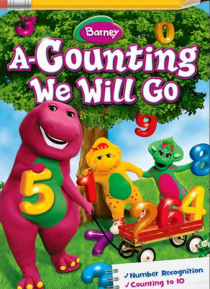 A trip to a make-believe market and a magical parade of numbers help to show her how exciting numbers can be. While having fun, the kids learn an impo… rtant lesson - you can't go wrong when you have friends to count on!